How to Create a Medicine and Health Logo? If you make a list of highly competitive markets, healthcare will probably top it. Medical workers know from experience how hard it is to build credibility with patients and their families. Getting people to trust you means convincing them that you are an expert in your field. However, there are other ways to show patients that you can take good care of their health. One way is to craft an effective corporate identity. Children’s hospitals, women’s clinics, wellness centers, and other institutions put lots of effort in crafting meaningful logos that would look attractive and friendly to men, women, and children alike. What images come to your mind when you think about medicine and healthcare system? We bet you thought about a cross, Bowl of Hygeia with a snake, heartbeat line, medications, and medical accessories (syringe, tonometer, etc.). 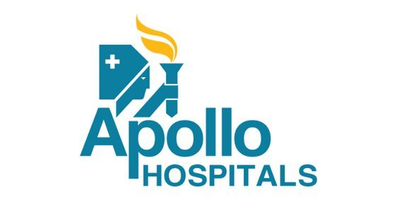 Apollo, a major network of medical centers in South Asia, uses the silhouette of a nurse to highlight the professionalism and commitment of their staff. Each industry has an established set of shades that are traditionally associated with its values. For the healthcare industry, such colors include blue, red, and green. It’s only natural that these colors stand for all things related to the medical community. Blue is synonymous with serenity, purity, and precision. Associated with nature and freshness, green is known for its soothing effect. When we see red, we think about love and care. Nonetheless, healthcare facilities aren’t afraid to think outside the box and explore the entire color spectrum. The main thing is to know when to stop and use no more than 3 matching shades. Also, don’t be tempted by the abundance of fonts available on the internet. Choose 2 fonts: one for your company name and one for your slogan. Try to find blogs or magazine articles by consummate designers that specialize in the healthcare industry. It’s a great way to hunt for exciting ideas and learn the meanings behind medicine-related symbols. How do I create medicine and health logo for my brand?